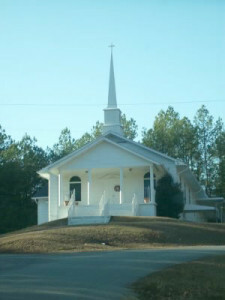 Hope Community Church is a congregation of believers in the Presbyterian Church in America. We are located in northeast Alabama and are a part of the Evangel Presbytery. Our church began as a mission church in 2009 under the care of the Faith Presbyterian Church in Anniston and as a part of the Alabama Church Planting Network. In September 2013 our church was formally organized as a particular church (a church having its own officers). Our church is located just south of the growing city of Jacksonville, Alabama. Jacksonville is a city of approximately 12,000 people. It is the home of Jacksonville State University which has an enrollment exceeding 9,000 students. By God’s grace, we were able to realize one of our goals in 2012 with the beginning of a Reformed University Fellowship on the campus of JSU. Daniel Hightower serves as the Campus Minister for RUF. The purpose of Hope Community Church is to know Christ and make Him known for the glory of God. The vision of Hope Community Church is to see a city and university transformed by the power of the Gospel through worship, discipleship, fellowship and missions. We are a church that is committed to the “ordinary means of grace.” This means that we will not resort to gimmicks or the latest fads to promote church growth. We are committed to the faithful teaching and preaching of the Word of God, to the observance of the sacraments of baptism and the Lord’s Supper, and to prayer.